The second in a series of shows to benefit the Silver Moon Theater will be held on Saturday, June 9, at the Sonoma Community Center. The Silver Moon Theater group is headed up by Nellie Cravens, a veteran of stage, film and television. Cravens brings her experience and talents to Sonoma Valley, and has produced and directed many plays and performances at the Sonoma Community Center, including “Gaslight,” “Born Yesterday” and “The Two of Us.” The performance on Saturday will feature Dan Martin and the Noma Rocksteady Band, along with Midnight Sun Massive. Midnight Sun Massive is just off a big CD release party that had Murphy’s Irish Pub hopping. The shows will benefit the future performance by the theater group of “And then there were none” by Agatha Christie, to be held later this summer. Showtime is 7 p.m. and tickets can be purchased at the door or at the Sonoma Community Center box office. The Sebastiani Theatre will have a special performance by the Hometown Band on Sunday, June 10, at 1 p.m. with a show called “Summer Pops.” The band, under the direction of Justin Enright, will play a variety of music from the time of the Great Depression in the ‘30s, to the present day era of jazz bands and Broadway musicals, and all the way to musical themes for movies and television shows, with a couple of Latin beats thrown into the mix. The band is a group of local musicians from teenagers to folks in their mid ‘70s, with various backgrounds and abilities. New musicians are always welcome to come to the band’s rehearsals on Sunday evenings. For more information, call Jim Cunningham at 538-8482. The show is free and open to the public. The annual Bear Flag Celebration will be held on Sunday, June 10, in the Sonoma Plaza. The annual event, presented by the local chapter of the Native Sons of the Golden West, celebrates the birth of the state of California, which happened right here near where the barracks currently stand across from the Plaza back in 1846. The original flag pole remnants that the Bear Flag was raised on can still be seen in the ground behind the current flag pole in the park. The day begins at noon with a historical re-enactment of the happenings of that June day in 1846, headed up by a loose knit acting troupe led by local historian George Webber. After the performance, local classic rockers BackTrax will play in the plaza along with a micro-brew festival and chicken barbecue. The event is family friendly and all are invited. Tickets for the barbecue and brew festival will be available on that day in the plaza. Later that day, June 10, Train Wreck Junction will be at Steiners Tavern for an early evening show that kicks off at 5 p.m. There is no cover for the show. Tonight, June 8, the tavern welcomes Sugarfoot for a 10 p.m. show. There is no cover tonight as well. Leslie Danon, proprietress of the El Verano Inn is having a well, not so much of a surprise after this, birthday celebration for Alina Garcia, the former owners of Little Switzerland, which she is combining with a tribute to the former local landmark. The event will kick off at 7 p.m. on Saturday, June 9, with one of the former owners and family band that used to play the polka events on Sunday afternoons, the Gruber Family Band. Other entertainment for the evening includes Ten Foot Tone, Junior Boogie, Dave Aguilar, Ryan Tatarian, Jason Huybers, Nick Cordellos and DJ’s Byron and Bubba. There will also be food served by Paul Garcia, Alinas son. For more info, point your browser to www.elveranohistoricalsociety.com. 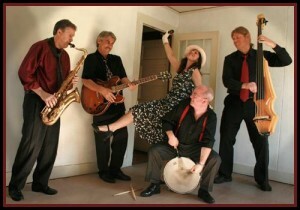 Sebastiani Winery and Vineyards has the Jami Jamison Band tonight, June 8. There will also be barbecue cooked on the grill outside, which we had the pleasure of having last week, still trying to figure out what that spice was in the sauce. Showtime is 6 p.m. and there is no cover. The Ledson Hotel welcomes Dan Daniels and Joyce Grant for an evening of jazz and blues on Saturday, June 9, at 7 p.m. Grant has been singing jazz in Bay Area venues for over 20 years and has been described as a “mezzo-soprano with a voice like dark honey.” Her unique shows consist of a blend of jazz, blues, country western, rhythm and blues, and funk. There is no cover for the show. HopMonk Tavern Sonoma has Christopher Lods in the beer garden tonight, June 8, for a 5 p.m. show. Later tonight, the tavern welcomes Ian McFeron on the inside stage at 9 p.m. Saturday, June 9, the inside stage has Jeff Campbell for a 9 p.m. show. Murphy’s Irish Pub presents the Gentlemen Soldiers tonight, June 8, for an 8 p.m. show that will be a tribute to the Irish rock band, the Pogues, and according to drummer J. B. Duff, “we don’t take requests!” Saturday, June 9, it’s Andrew Freeman for a night of “Sizzling licks” for a show that also starts at 8 p.m. Sunday, June 10, it’s dinner theater. For reservations and more info, e mail hunt@sonomapub.com. The Epicurean Connection will have True Grits, featuring Adam Traum and Liz Brown tonight, June 8, for a 7 p.m. show. The Plaza Bistro welcomes Jonathan Poretz tonight, June 8, for a 7 p.m. show. Saturday, June 9, it’s J. Kevin Durkin, also for a 7 p.m. show. There is no cover either night. Brewnel is out of town this weekend, tonight, June 8, at Doc Holiday’s in Santa Rosa for a 9 p.m. show. 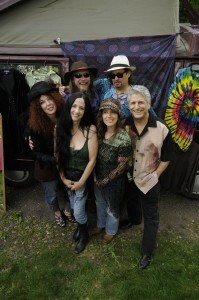 Sunday, June 10, the band takes the stage at the Novato Art and Wine Festival at 1:05 p.m. While not exactly the Partridge Family, it’s truly a family affair when it comes to the Napa-based band Anadel. Anadels beginnings started when vocalist J. T. Bailey began to compose music and lyrics while in his teens. It wasn’t long until his sister, Keri Bailey, on violin and backing vocals, joined in. Soon after father, Tom Bailey jumped in on drums, and finally, brother Steven Bailey on keyboard. In 2010, the family decided to expand and develop their sound as a band and enlisted the help of two additional band members to fill out the sound, and Anadel came to be a gigging act. You can catch the act on Sunday, March 18, at Olive & Vinein Glen Ellen, as part of the Sunday Songwriter Sessions series. Showtime is 5 p.m.
BackTrax is back in action this week at the annual Rotary International St. Patricks day event on Saturday, March 17, at the Sonoma Community Center. The evening includes a corned beef and cabbage dinner, festivities and a raffle for a chance to win a two-week trip to Ireland or $10,000. Tickets can be purchased at the door starting at 6 p.m. Show starts at 7 p.m. The reggae act Midnight Sun Massive will be back in town at the Olde Sonoma Public House on Saturday, March 17, for a reggae island celebration. Showtime is 7:30 p.m.
Of course, it wouldn’t be a St. Patrick’s Day in Sonoma without action from Murphy’s Irish Pub on Saturday, March 17, and they’re getting an early start. Kicking off at 2 p.m. will be the Sweet Penny Royals. Following them at 5 p.m. will be the Gentlemen Soldiers and wrapping up the evening will be the Carrtunes. Friday, March 16, the pub welcomes the Hellhounds for an 8 p.m. show and on Sunday, March, 18, it’s the Shades of Green for an early show, kicking off at 6:30 p.m. The Grange Hall Barn Dance is back at the Grange Hall in Boyes Hot Springs on Saturday, March 17, kicking off at 8 p.m. Rebecca King, a renowned contra dance pianist in the Bay Area, will play with Howard Booster on fiddle and the moves will be called by caller Mike Fynan, who will teach the reels and circles in advance, then continue calling while the band plays. All attendees under 26 are admitted free. 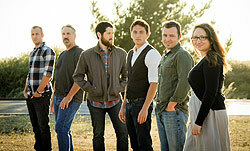 Cynthia Tarr and the Guys will be at the Sonoma Community Center tonight, March 16, for a night of music. With Tarr tonight will be Cliff Hugo on bass, Ken Cook on piano, Alex Aspinal on drums and Randy Kwan on guitar and together they will perform two lively sets of jazz, rock, shuffles, ballads, cha cha, and soul. Tickets will be available at the door. Showtime is 7:30 p.m. The Heaters will be at Steiners Tavern tonight, March 16, with an all-star line-up. Typically on drums at the Sunday night blues jam, Adrian Trevino will be on guitar, along with Jason Huybers. Andrew Emer will fill the bass role with Bob McBain on keyboards and J. B. Duff on drums. Showtime is 10 p.m. and there is no cover. The Epicurean Connection will have a variety of piano players as part of the Sonoma Gaydar group tonight, March 16, kicking off at 6 p.m. Enkidu wines will be on hand and apparently many members of the group play piano so they will be taking turns tickling the ivories. Wildflower Weed will be at Wellington Vineyards as part of the Savor Sonoma event on Saturday, March, 17, kicking off at noon. The event is a ticketed event that gets you access to more than a dozen wineries in Sonoma Valley. For tickets and more info, point your browser to www.heartofsonomavalley.com. The Ledson Lounge welcomes back Jess Petty and Ken Chambers on Saturday, March 17, for a 6:30 p.m. show. Petty plays trumpet and flugelhorn, and sings in a strong jazz vocal style that is his own, and is considered a world-class musician. He began his musical career in the Monterey Bay area, gigging with other musicians, and studying with Bud Clooney, a great trumpeter with the Harry James band. There is no cover for the show. The El Verano Inn has the Mountain Squirrels on Saturday, March. 17, for a night of classic rock and roll with a tad of country. Showtime is 8:30 p.m. and there is no cover. The Plaza Bistro has the Jeff Massanari Trio in the back room for a night of jazz tonight, March 16, kicking off at 7 p.m. Joining guitarist Massaneri tonight will be Tim Campbell on organ and Marshall Gentry on drums. Saturday, March 17, the bistro welcomes Kristen Strom with Scott Sorkin on guitar, also for a 7 p.m. show. There is no cover either night. “The Sonoma Sinatra,” Stan Pappas, will be on the road to Rickey’s Restaurant in Novato tonight, March 16, for a 7 p.m. show. Pappas will have with him Jon Shearer on piano. Don Trotta will be at the Penngrove Pub on Saturday, March 17, at 9 p.m. 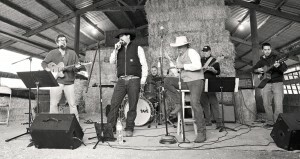 Bound to Ride is at the Rhythm and Brews event in Lakeport on Saturday, March 17, for a show at noon. Local guitarist Michael Hinton will be with the legendary Barry “The Fish” Melton at Georges Nightclub tonight, March 16, for a 9 p.m. show. On a personal note, we want to give our sincere condolences to the Hill family of Sonoma on the passing of patriarch Gerald Hill, a truly great American. His legacy will not soon be forgotten. Jerry Hannan – Saturday, March 17. Unauthorized Rolling Stones – Friday, March 16. Peter Frampton – Saturday, March 17. David Grisman Quintet – Friday, March 16. Drive By Truckers – Friday, March 16. Marshall Tucker Band – Saturday, March, 17. Little Feat – Sunday, March 18. 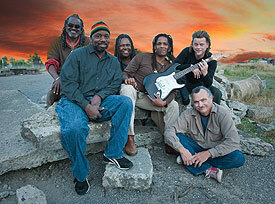 Barry “The Fish” Melton – Friday, March 16. Santa Rosa Symphony – Set Six – Saturday – Monday, March 17 – 19.